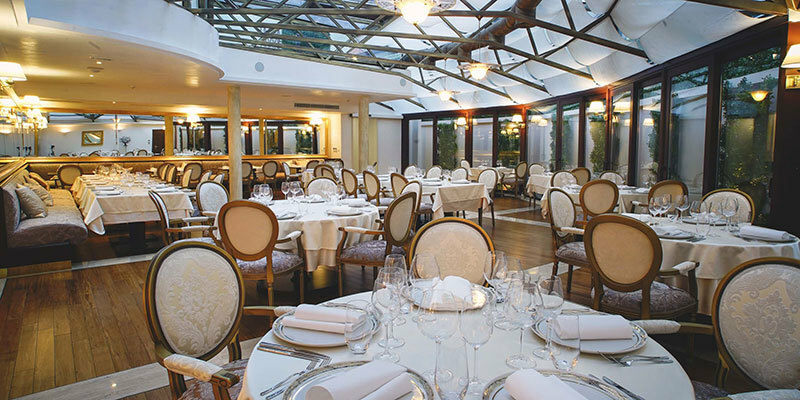 TIP: The hotel possesses a restaurant with a 2 Michelin star awarded Chef. Boutique hotel Le Premier Zagreb is one of the latest Zagreb hotels, housed in a beautiful palace. Located next to the Meštrović pavilion, you are within walking distance to Zagreb centre. Each of its 62 spacious rooms is equipped with air conditioning, free WiFi, a desk and a flat-screen cable TV. Bathrooms include a bath or a shower. You can also relax at the hotel Spa centre or Cigar and lounge bar. Business travellers will enjoy Boutique hotel Le Premier Zagreb as it offers free WiFi, in-room desks for work, possibility to relax at its Spa, or simply enjoy a coffee over free newspapers. Couples, on the other hand, can appreciate its luxury design and amenities. The hotel highlights its restaurant with an inner glass garden guided by an awarded 2 Michelin stars Executive Chef Stefano Cosattini. Rich Buffet Breakfast is served at the restaurant from 6:30 AM till 10:00 AM, so you have plenty of time to rest. Do not hesitate to relax at their saunas and THÉMAÉ City Spa. It offers an exclusive range of Theishu –Japanese Tea Master treatments. At the same time, their Fitness Centre equipped with Technogym technology offers on request personal trainer service. What is close by to the Boutique hotel Le Premier Zagreb? The hotel is located in the vicinity of the Meštrović pavilion and Croatia National Bank. But don’t think that’s it, you are within 10 minutes walking distance to major Zagreb Attractions. Once you reach Croatia National Bank just continue west towards Zagreb Ban Jelačić square. You will pass by HT Post and Telecommunications Museum and if you have time drop in, you will not be disappointed. There is public parking available at the hotel, but we recommend their hotel parking to save the time of searching for a parking spot. It is 30 EUR per day.